ThereÍs something fishy about this mask... 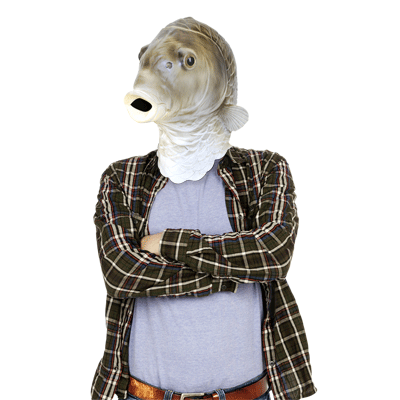 The Frank the Fish mask is a catch with a hyper-realistic scales and dorsal fins. It's great for holidays, photo booths, the office, parties, selfies, pranks, & more.